Internet offers a great potential for transformation and growth for visual art market. A change in how art should be sold has always played an important role in the expansion of its market. Now the galleries are getting commercialized and Internet has become a potential way of expanding the art app market. Display a huge cataloh with a variety of artworks and art pieces. Inform customers of an upcoming exhibition with push notifications. Update content as and when needed on new artworks, an upcoming sales, and events. With Webkon app, display artworks for online sales through mobile devices. Add high definition of your artworks, sketches, paintings, and portraits for improved engagement. With Facebook and Twitter, you can promote your work. Webkon apps support Augmented reality. the artist can post as many pictures and videos of the artworks as they want to. with images and videos, the users feel more connected with the artists and only after feeling a connection they take the step of buying his work. This level of engagement can be brought by posting pictures of artworks, 3D visual tours of art galleries, and more. With the help of physical web browsers and 3D view the users can see the images and the linked content. There are so many people who love art and want to make art as a part of their lives. They are always looking out for painting, sketches, or drawing that can be a perfect part of their houses. Webkon app offers real time enquiry process wherein the user can submit his queries. The artist can reply the users in real time. this question answer or information broadcast is made prompt and instant with Webkon apps. Webkon apps allow the artists to upload a Portfolio for giving the users a chance to better understand what the artist is all about. artists can give a small description of his past accomplishment. he can also add information on the certification courses he has done or doing, information on the art School he has attended and other things that might interest the users. The artist can highlight his art pieces in the website and can make his website an online store for selling his most valuable paintings. He can upload the photo and add the price tag along with description of the photograph. The people can make a wish list of what they like, they can also order online and make hassle-free secure payments online. They can ask for the shipment to arrive to a shipping address saving them have the hassle of going to an exhibition or art studio. Artists also understand that the client are always in the Lookout of new artwork or any upcoming art exhibitions. The artists must update the apps with information and must present it to the users in the most accurate and beautiful manner. Webkon progressive web apps allow the users to update content anytime. With Webkon, you can add a new piece of Information and delete an old piece of unnecessary data. the user gets to see the update with prolonged use of the applications. Every artist has a greater appeal to its local audience. it has been seen that 8 out of 10 artists have slightly more inclination towards the people whom he can relate to. Webkon app offers the user to choose his language. the local audience can opt for English or any other secondary language for their applications. this might sound like a small step but it plays an important role in attracting the attention of the local buyers. Webkon app promises to improve sales of emerging as well as competent artists. Webkon apps are progressive web apps and therefore the user gets a URL that he can broadcast on various social media platforms. Social media plays an essential role of a networking tool which can help the artists manage their existing clients and capture new clients. with the help of social media platforms such as Facebook, Twitter, and more, artists can highlight their work to a huge lot of audience. Traditional art markets such as events, exhibitions, galleries, and art studios were and will remain to be the core places to buy top notch artworks. Thus, artists need to make sure the footfall to these places never die. 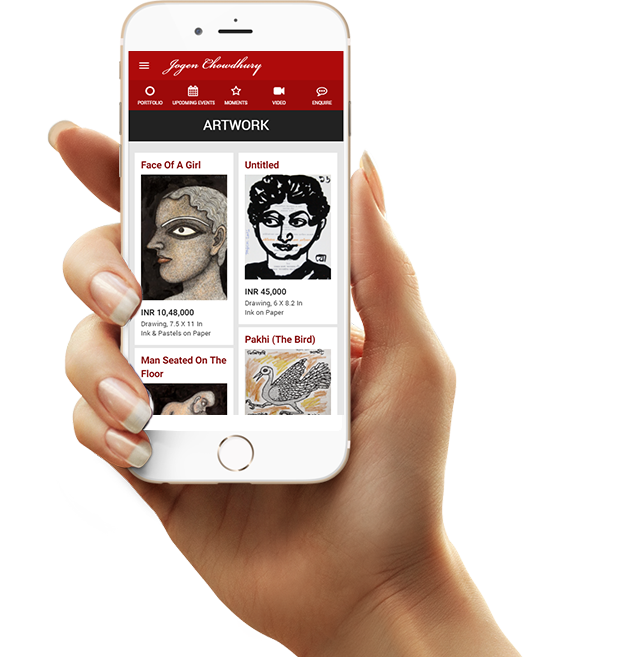 With the help of Webkon apps, artist can send real time notification to the registered users about an art fair or an event on an upcoming exhibition. Create your Progressive Web App! Interested to turn your Business Interactive? Please fill in the form below and we'll get back to you within 12 hours except for weekends and holidays.